BB-8 and Porg Puppeteer Brian Herring on His Journey to the Last Jedi – This is a great interview with the puppeteer who operated numerous Star Wars puppets during its filming, including BB-8 and the Porgs. I love the behind-the-scenes images showing how much of these creatures were done practically, rather than digitally. 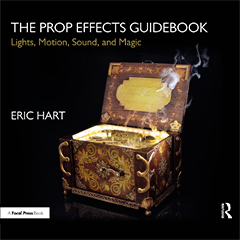 Virtual Author Talk: The Prop Effects Guidebook – I talked about my newest book, The Prop Effects Guidebook, with the Virtual Costumer magazine. The book had some publishing delays, but it should start shipping out this week if you have pre-ordered it. Props and SFX Guru, Jennie Marino, will present “Don’t Miss” Storied Show & Tell/Seminar – If you are in Burlington, NJ, on May 20th, be sure to check out this lecture and workshop by Jennie Marino. 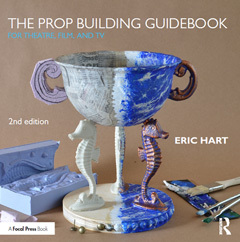 She has built props, puppets, and masks on over forty-five Broadway productions, as well as countless Off-Broadway and television shows. The event is about an hour-and-a-half from NYC, but it is only a short hop over the river from Philadelphia if that is your home. Cara Cooper, Jessica Rush, and Celia Keenan-Bolger on Broadway Baby Mamas – Though focused on performers, a lot of these issues are similar for new mothers working in theatre design and tech. Some theaters have made good strides toward being more family-friendly, but we still have a long way to go.